Mother and Father, strengthen your child’s memory with proper nutrition. Proper nutrition is a medicine for the brain. A complete diet including meat, eggs, milk, cereal, fruit, vegetables, helps a lot ADHD children with their emotions and behaviour. On the contrary, inadequate nutrition including fast food, chips and soft drinks reinforces the negative symptoms, e.g. it increases hypermobility. One of the main characteristics of ADHD is impulsivity, which is connected to obesity, proving to be a risk for the brain. By replacing a big cinnabon of 720 calories with a 400-calorie salad containing spinach, salmon or chicken, berries, nuts and red bell peppers, you will give the child energy and make him/her smarter. 80% of our brain is water. If it gets dehydrated, even to a small extent as much as just 2%, the ability to think, contemplate or have critical thinking is reduced. Every child must consume approximately 1 litre or 5 glasses of water on a daily basis. Protein helps balance the sugar in our blood and focus. The most important is that it ensures the health of the brain. Big sources of proteins but low in calories are fish, turkey, and skinned chicken, beans, raw nuts and vegetables such as broccoli and spinach. Protein is necessary in breakfast e.g. milk so as to strengthen focusing and concentration throughout the day. Let children have a lot of good carbohydrates which don’t increase their blood sugar. Let them also have fibres such as vegetables and pulses, as well as berries and apples. Bad carbohydrates should be excluded from their diet. Sugar is the enemy of the brain. By following a diet with low glycemic index, the child reduces the sugar levels in his blood, has less cravings for more sugar and focuses more on his activities. Good fats are essential for the child’s health, especially when they are accompanied by omega 3 fatty acids. More analytically, fish like sardine, mackerel, salmon and tuna should be ideally consumed 1-2 times a week while avocado, green vegetables and dry nuts can be consumed daily. Add natural foods of various colors to your child’s nutrition. Let there be a variety of colors in the plate with berries or pomegranate or yellow squash and red bell peppers. In this way the levels of antioxidants are reinforced and this helps them keep their brain alert. Research has shown that some herbs and spices benefit the brain and cognitive function : saffron infusion was found to be equally beneficial with medicines as regards treatment for fear of contact with others. Rosemary, thyme, and sage are linked with aiding memory. Cinnamon is proved to help with attention and improves blood flow. Garlic and oregano increase blood flow to the brain. …. and this is why you should avoid bad ingredients. Chemical pesticides are accumulated in your brain and body, even if their levels in food are low. Let your children eat organic and free range food. Otherwise it will be like feeding them with hormones and antibiotics free of charge. Moreover, avoid preservatives, artificial coloring and sweeteners which contribute to hypermobility/ hyperactivity. This means that you as parents should start reading the labels of the food you purchase. If you don’t know what it is, then do not give it to your child. 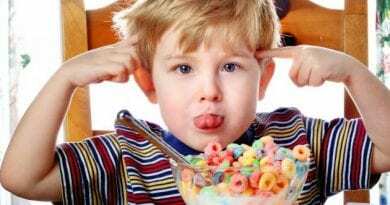 As soon as children’s nutrition is free from wheat, dairy products, processed food, all forms of sugars and coloring as well as additives, then ADHD is significantly improved. Mother, Father, concluding I must urge you to follow the aforementioned information for 2 weeks. I am sure about the result. Do you prefer Punishment or Contract? New way to an “agreement”. 22nd Σεπτέμβριος 2016 i-paidi Δεν επιτρέπεται σχολιασμός στο Do you prefer Punishment or Contract? New way to an “agreement”.